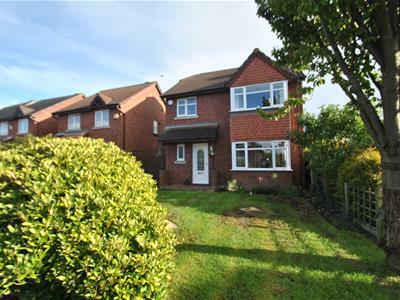 BUILDERS PART EXCHANGE - EXCEPTIONAL DETACHED HOME - CORNER PLOT POSITION - UPDATED KITCHEN & BATHROOMS, this well presented property offers spacious accommodation over two floors and comprises of an entrance hallway, cloakroom, dining kitchen, dining room and lounge. 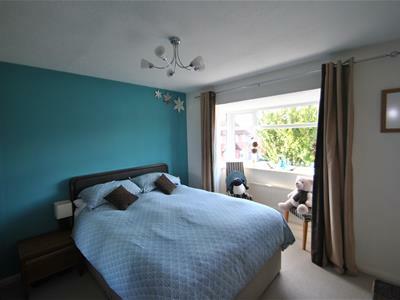 To the first floor there are three good sized bedrooms, master bedroom with en-suite. 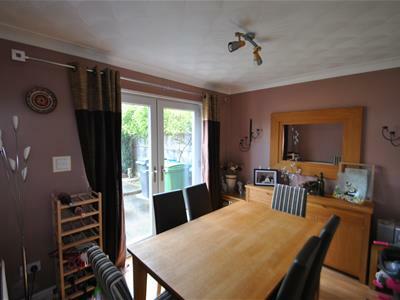 Externally there is ample parking and mature gardens to the front and rear. 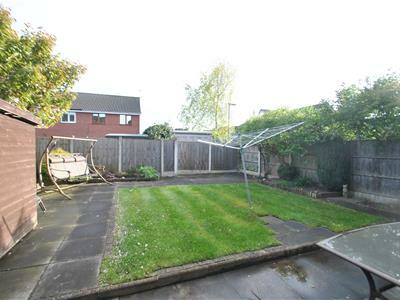 A builders part exchange detached property offering exceptional accommodation on a corner plot. The property is accessed by a welcoming entrance hallway which in turn leads through into a useful cloakroom with a two piece suite for convenience purposes, stylishly fitted dining kitchen complete with a range of matching modern eye and base level units and integrated appliances, separate dining room with french doors opening out onto the garden and a lovely lounge with a feature fireplace. To the first floor there is a wonderful master bedroom with its own en-suite facility,two further bedrooms and a family bathroom with a modern white three piece suite. 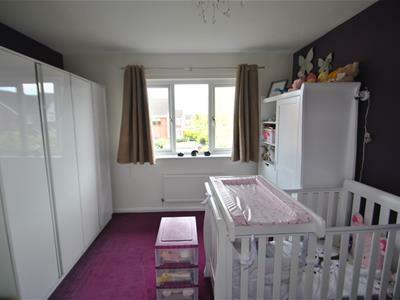 This well appointed accommodation is warmed by central heating which is complimented by double glazing. An internal inspection is highly recommended at the earliest opportunity. 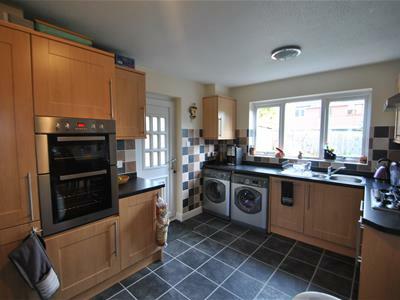 Panelled and glazed door, laminate flooring, central heating radiator ad alarm unit. Comprising of a two piece suite incluidng a low level Wc, pedestal wash hand basin with tiled splash back, double glazed window to the front elevation and a central heating radiator. 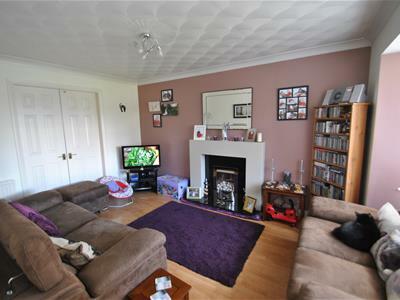 French doors giving access out to the garden, further double doors opening into the lounge, laminate flooring, central heating radiator and ceiling coving. Double glazed box bay window to the front elevation, coal effect gas fire with black granite back and hearth and surround, ceiling coving, television point, two central heating radiators, telephone point and laminate flooring. A range of matching eye and base level units with concealed lighting, integrated grill with oven, slimline dishwasher, one and a half bowl sink with drainer unit, complimentary tiling, soft closing drawers, set in heat resistant roll edge work surfaces, space for a fridge/freezer, central heating radiator, side door access, wall mounted boiler, double glazed window to the rear elevation, laminate flooring and access to the dining room. Double glazed box bay window to the front elevation, central heating radiator and access to the en-suite. Large than average fitted with a three piece suite including a corner shower, pedestal wash hand basin with chrome mixer tap, low level Wc, two wall mounted cabinets, fully tiled walls, central heating radiator, double glazed frosted window to the front elevation, airing cupboard housing the water tank and shelving space. 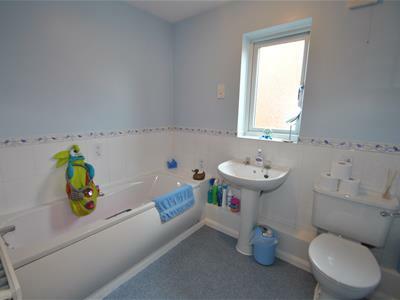 Three piece suite comprising of a white panelled bath, pedestal wash hand basin, low level Wc, part tiled walls, double glazed frosted window to the side elevation, shavers point, extractor fan and a central heating radiator. To the front there is a lawned garden with driveway and timber double gates leading to the carport. 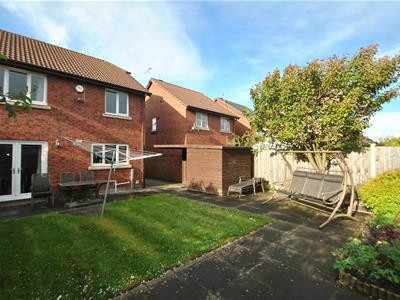 The rear elevation boasts a good sized paved area with lawned garden.